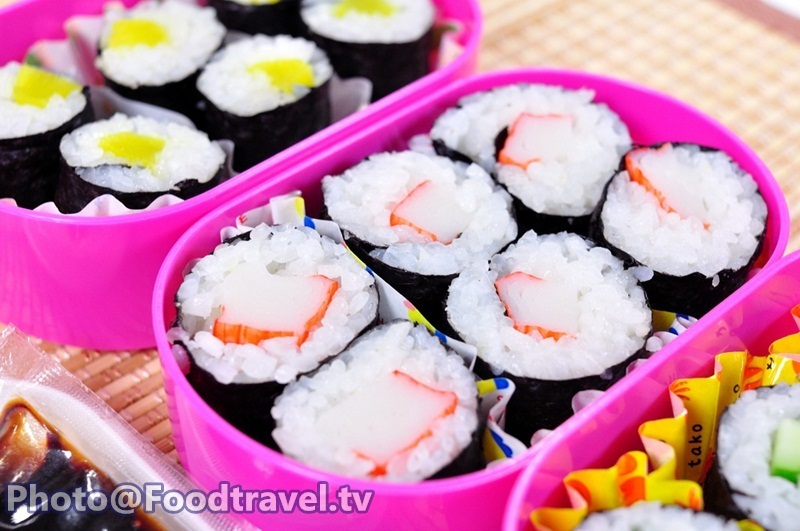 Hoso Maki Sushi (Kao Hor Sa Rai) - Actually this menu can call “Khao Hor Sa Raii Kum Lek” for Thai name (small sushi). The word ‘HO - SO’ means “thin”. 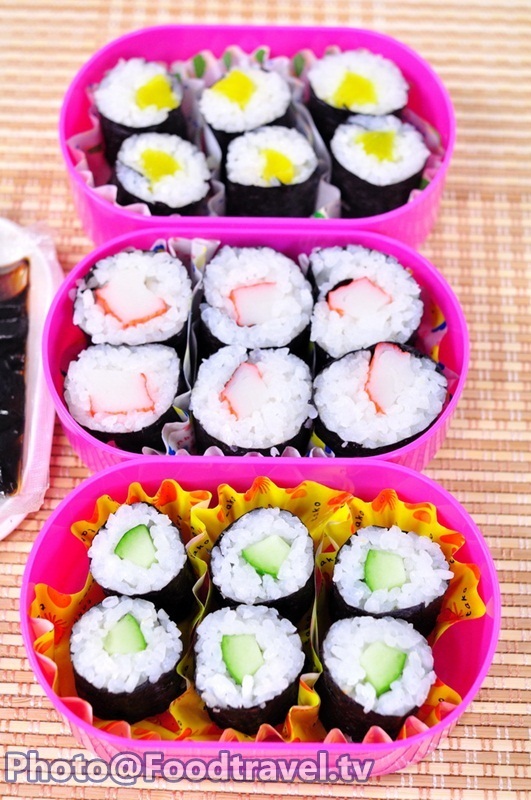 Hoso is a small piece Sushi Nori with one filling inside. 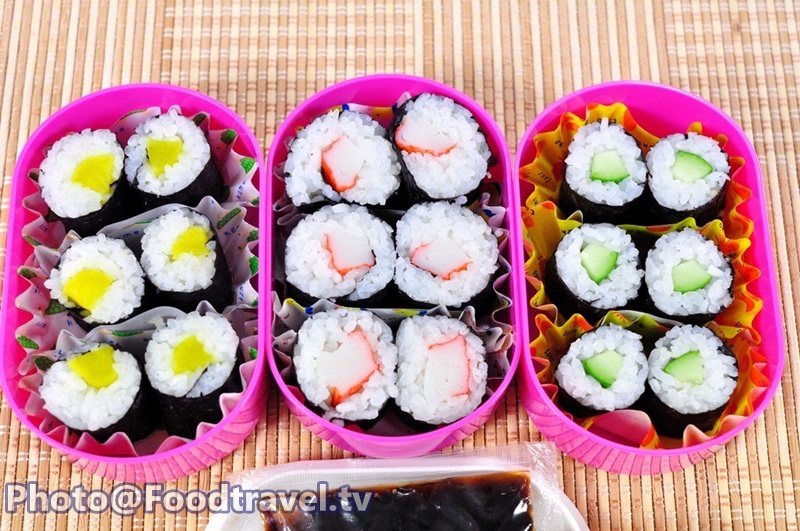 HOSO Maki sushi is easy to make and suit for anyone who starts to make your own sushi. 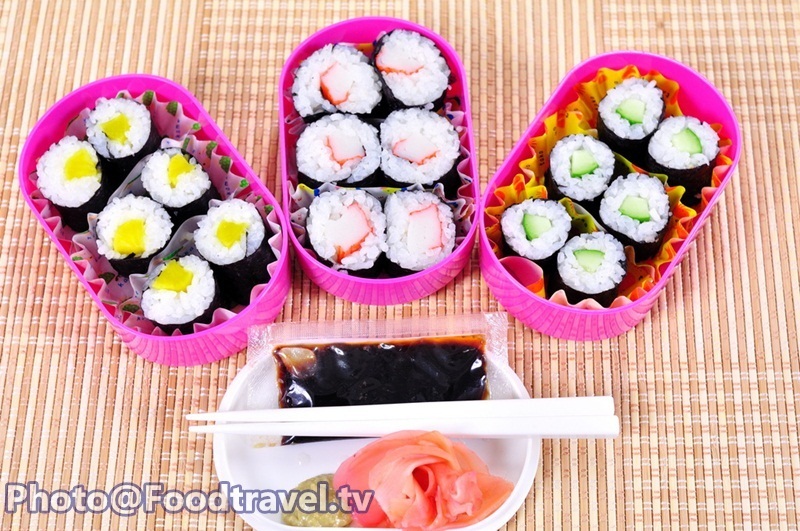 Hoso Maki Sushi (Kao Hor Sa Rai) - Actually this menu can call “Khao Hor Sa Raii Kum Lek” for Thai name (small sushi). The word ‘HO-SO’ means “thin”. 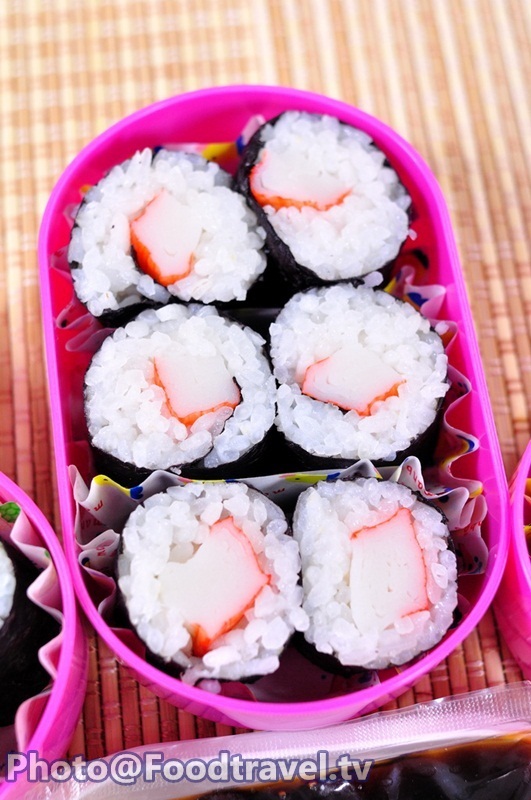 Hoso is a small piece Sushi Nori with one filling inside. 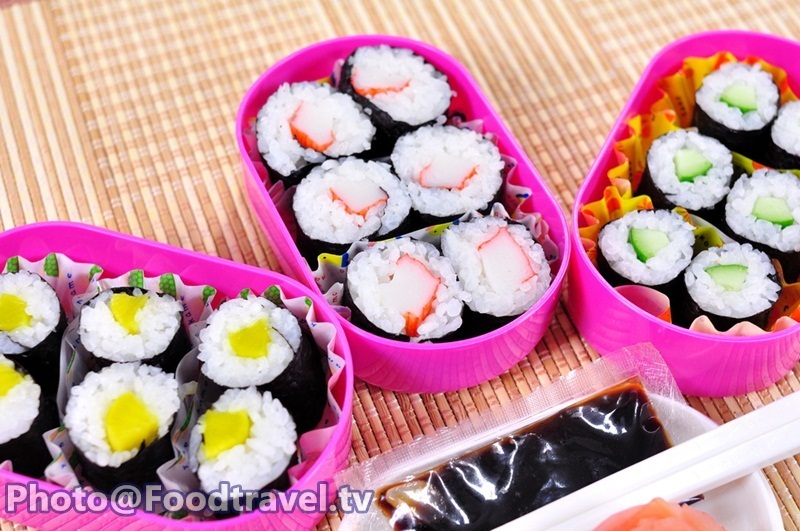 HOSO Maki sushi is easy to make and suit for anyone who starts to make your own sushi. 1. Rinse Japanese rice 2 times and put in a rice cooker. Pour water down and immerse 15-30 (or 15 minutes+ for much proportion) then cook until done. 2. Prepare seasoning rice water by put mirin, then heat and add sugar, vinegar, grounded salt and stir to dissolve. Set aside to cool. When the rice cooks, add seasoning water. Then stir with wooden spoon and set aside. 3. 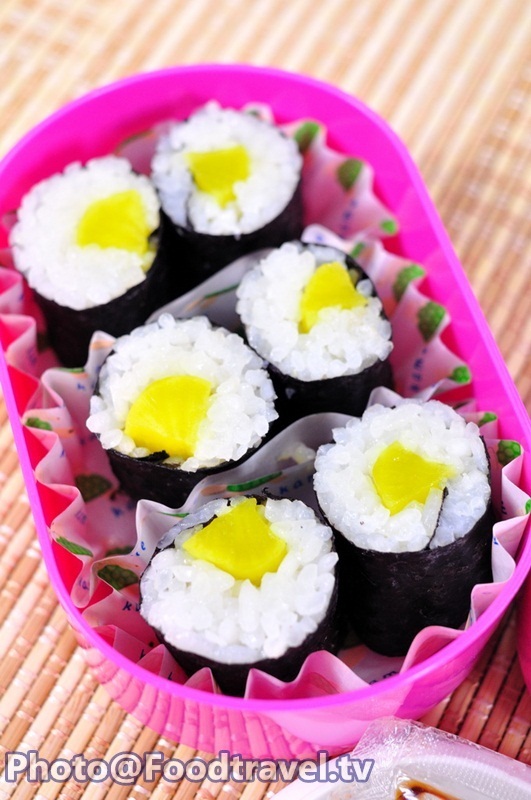 Cut seaweed in half and add 70-80 grams Sushi rice on the rice. Then spread thoroughly. 4. 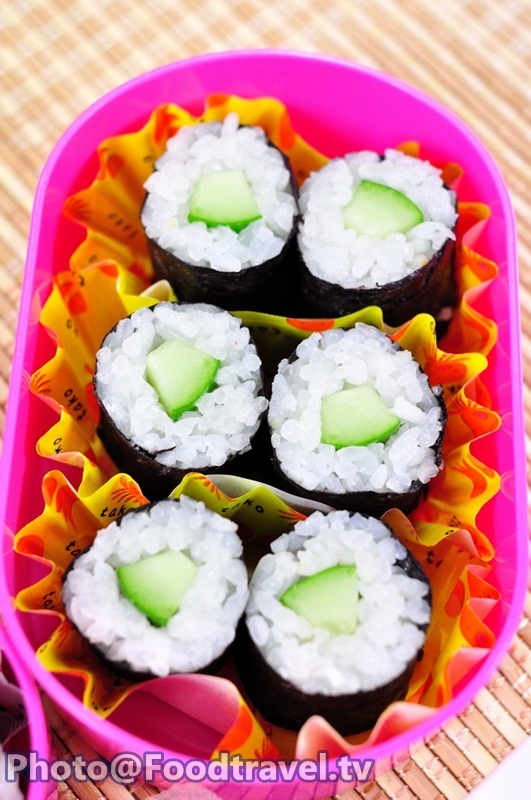 Place crab stick, pickled radish, or cucumber beside. 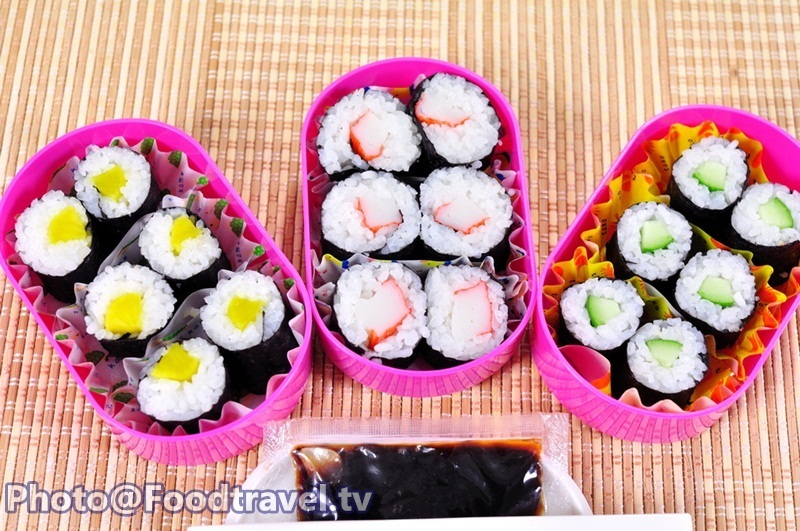 Then roll sushi tightly. 5. Cut into pieces by put knife in the water (mix with vinegar). Then cut about 2-3 cm long and place into a container. Eat together with Shoyu, Wasabi and pickled ginger.